In November, 2011, I joined a group of volunteers answering a call for help from Homeward Bound Golden Retriever Rescue and Sanctuary serving Northern California. The volunteer organization rescues and heals displaced, abandoned, and homeless Golden Retrievers and Golden/Labrador mixes, no matter their age or health. The Memorial Garden had been equally abandoned. What should serve as a tribute to rescued Goldens had fallen into disrepair. The hope is that pride of ownership will kick in with a small army of volunteer gardeners, leading to the restoration of the garden as a place of peace and remembrance, as well as an opportunity for fundraising. As a recipient of two beloved rescues from Homeward Bound – Bella and Jackson – this is my opportunity to support the work of those who go to extraordinary lengths to save and place hundreds of dogs each year. Through this story of a rescued garden, I hope to inspire others to share the love of rescued pups. Audrey, this blog is a lovely, loving tribute. It is also a nice complement to Laure’s e-mail updates. Your passion and compassion clearly underlie each blog. You are a Homeward Bound “scribe” making a difference through your beautiful photos and writing. Sue, it was great spending time with you and Brock in the garden today! I can’t wait to see the finished result. The gardens – and the dogs – are great inspiration. I thoroughly enjoy sharing the results of our collective efforts with others. See you in the garden! “Romancing” – a wonderful blog. And now I have found yours! Beautiful. My office mate has a service dog – half golden, half standard poodle. Sweet, and smart as a whip. The best of both 🙂 Thanks for visiting! I just read and viewed the wonderful photographs for a number of posts here. They are interesting, fun and so pretty. WOW. You have rescued the garden! I enjoyed the visit. Thanks so much for your kind words and for visiting us! It’s been quite a project, but really rewarding. It is so wonderful what you have done. I love reading your posts (the flowers in your last post were just beautiful too). A neat blog and wonderful causes – Goldens and Gardens, love them both. Enjoyed walking through your garden. Thanks Mary! Nice to meet you…and now to follow you. Painting is my first passion, and yours are beautiful! Our current golden rescue, lissa, is our fifth. Good Work. You’re so sweet, thanks for the nod 🙂 P.S…My Watercolorist’s Essential Notebook has arrived. It’s like starting all over again…the right way! Thanks again for the tip! That is so sweet and generous. It is a joy to write with so much inspiration around and so many kindred souls to share with. Thank you for stopping by! He looks great and happy in his new home! Thanks for visiting – and for adopting! Homeward Bound hearts you and your new Buddy! What a beautiful, beautiful blog . . . and what beautiful work you do. Thanks from a Golden Retriever who dreams of a day when every dog is in a loving home . . . with a lovely garden! Thank you, Miss Harper Lee! I’m so glad you found us. You are as cute now as when you were a little puppy. We’ll happily follow your adventures as well! I’m a golden lover and a golden owner, so I couldn’t be a whole lot happier to follow your story. I live in San Jose, and I’ve been hoping to find a way to make a road trip with my little guy, Mac, for an event, and if you need “Taxi” drivers in San Jose, I’d love to throw my hat in the ring. I’ll look up contact info to email your team. This is amazing! What a fantastic project. 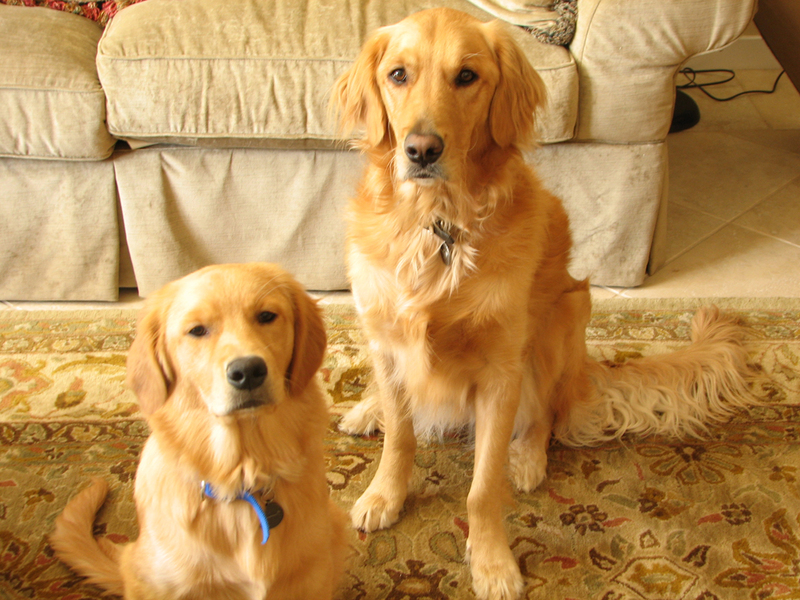 I think what you’re doing is such a beautiful reflection of the kind and gentle spirit of Goldens – Great work! Thank you! So glad you could visit…and I’m very sorry for your loss. I’ll happily follow along with you (fellow crazy dog lady!) Can’t wait to read more! You are too sweet, Mary. The garden, goldens and I are very grateful – but mostly grateful for entire blogging community and the opportunity to bring visibility to importance of rescue. Looks like I have some new blogs on your list to visit. Thank you! Wonderful, I love this idea. I have a gorgeous Golden myself, rescued him from a breeder in Milano. Great to meet you Dina! Thanks for visiting with us…and thank you for rescuing! We have a Golden Mix (with Australian Shepherd) named Gracie. She was a rescue and we adore her. She was an instrumental part of our foster/now adopted son’s healing from trauma and abuse and they are now constant companions. I am so glad to have found your lovely site and look forward to reading more! It’s amazing how dogs and children can be healed together. I’ll happily read along with you as well! Although I am not a “dog person”, I must say you are writing a great blog here: interesting, relevant, and aesthetically pleasing despite of the somewhat bleak reality it describes. Keep up the good work! Thank you. You don’t have to be a “dog person” to appreciate humane treatment. Please share the tips with others so we can all do better. Thank you for visiting with us from such a distance! Looking forward to your posts. And thanks for rescuing! I have been looking but can’t find the information on your bricks. Are they still available? Thanks Audrey. I couldn’t find it on the site tonight. I’m planning on buying two of the 8″ ones to be placed side by side, and I’d love a photo. Happily. Let me know the names – and thank you 🙂 What a wonderful way to remember your special ones while helping other dogs in need. I just placed the order, one for Nikki and one for Leah. The one for Leah will have a photo. I’ll look forward to seeing a photo of them and seeing them in your beautiful garden. Well deserved! When I heard the criteria, I immediately thought of you and your beautiful tribute. Keep up the pawesome work! I am so surprised and delighted to be counted in such good company! Thank you…for the nod…for loving Newton so deeply and still putting your heart out there to help more. Absolutely – Thank you for all that you do on a daily basis ! I have nominated you for the WordPress Family Award. You can read all about it here: http://thek9harperlee.wordpress.com/2013/04/30/we-are-fam-i-ly-get-up-everybody-and-dance/. Your lovely photos and stories of the Homeward Bound gardens and dogs give us all hope of more beautiful days to come. Thank you! Hi Audrey, I think you might find “family” an interesting topic on http://www.oilpastelsbymary.com. Enjoy!! You’re welcome and thanks! Actually I have many more awards coming out this week – I have been behind and have felt so guilty about it. What you do on a daily basis inspire me. I have nominated you for the Shine On award. See it here. Have a good week ahead! All this time I thought I was following you. Now I really am! Great blog, Ogee. Funny! Thank you…and thanks for stopping by! Audrey do you know if my bricks got installed on the weekend? I would so love a photo of them. Please remind me of the inscription…thanks! One was for Leah, with a photo, and one was for Nikki, just the inscription. I’m sorry to take so long to respond today, but I wanted to surprise you with the posted photos. My friend Rob was kind enough to get them for us. You have waited so patiently to see these touching messages. Hugs to you, Grady…and Brandy! Thanks so much! It makes me sad to see their names there, but I know in buying the bricks it will help other Goldens to find a home and the same happiness they brought me. Congratulations on making such an important difference in the lives of your beautiful rescues and ultimately their adoptive families. It’s a beautiful thing. I came by way of my dear friend Alys of ‘Gardening Nirvana’ who I also met blogging. Kindred spirits, she knew that I would love it here. My husband and I finally made the move from the country to the city after saying goodbye to our dog Buddy. As we’re currently renting while hunting for a new home, I’ll look forward to getting my doggy fix here with you. We just found you and will follow. Junior is a rescued golden,who now gives back as an Ambassadog for golden rescue here in Texas as well as a Therapy Dog and Reading dog. Your blog touched our hearts. Ahhh…thank you! I will enjoy following Junior as well! Could I get the photographer’s name to the photos posted on your site “Mourning Doves Hatched”. I like to get permission to use their photographs. Hi Ogee- I’ve nominated you for the One Lovely Blog Award. (You can read about it here: https://thek9harperlee.wordpress.com/2017/08/04/isnt-she-lovely/.) You’re under absolutely no obligation to follow those silly award rules. 🙂 I just wanted to let you know how much I appreciate your beautiful blog and two of my favorite things: gardens and Goldens. Wishing you a wonderful weekend! This is so kind of you! And how wonderful that we get to hear from Tallulah for the first time! I can’t wait to read through the long list of nominees and I am honored to be included. Thank you. Thank you, Mike and Kali! We have many friends in common. I am honored to be included and can’t wait to check out the ones that are new to me!